Kahuna, one of AppsFlyer's integrated partners, is a pioneer in communication automation, dedicated to empowering businesses to grow and thrive in the mobile era. We enable a new level of authentic engagement between brands and their customers wherever they are — the web, email, mobile, social channels — through personalized communication at scale. Powered by big data and machine learning, we help create delightful experiences for every customer with the perfect message, delivered on the right channel, at just the right time. Some media sources restrict sharing data with 3rd parties. AppsFlyer cannot share user level data of users acquired through these media sources with 3rd party platforms or services. All installs from such media sources are therefore sent as organic. For more details and a list of media sources that restrict sharing data with 3rd parties, click here. Make sure the lines of code are inserted at the correct place – after Kahuna SDK was launched and before the appsflyer.sendtracking (Android) / trackAppLaunch (iOS) methods are called. 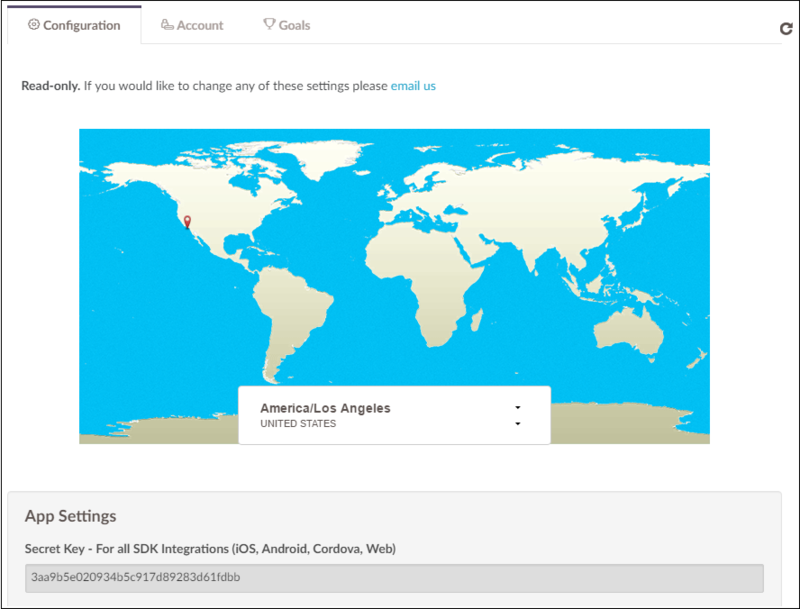 Go to the dashboard of your app and click on Integrated Partners on the left bar. Enter "Kahuna" in the search field and click on its logo to open the Kahuna configuration window. The Kahuna configuration window only makes use of the Integration tab. For a detailed description of the Partner Configuration Window Header, click here. The Integration Tab is divided into different sections as described below. Kahuna connects with AppsFlyer via a unique Secret Key. If you don't already have it, you must obtain it from Kahuna to continue with the integration or follow the steps below. AppsFlyer can send automatic postbacks to Kahuna user installs. Use this section to define sending these postbacks. Select Events attributed to any partner or organic to send postbacks for any user that downloads the app to Kahuna. Tracking Links are not available for Kahuna. Cost data is not supported in the integration with this partner. Ad Revenue is not supported in the integration with this partner. Permissions are not available for Kahuna. 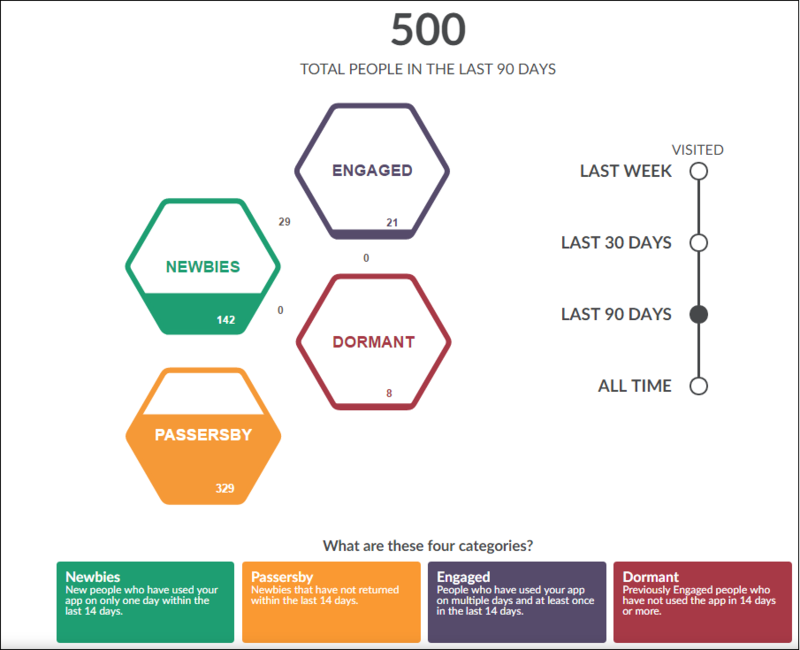 The install events can be viewed as Newbies in Kahuna's main dashboard. You can search for a specific user or go to “Top People” in your left side navigation. 9. Go to Kahuna’s dashboard and search for the user (you can enable Kahuna debugging and look at the logs to get the Kahuna unique device ID for that user.. “dev_id”... or if your app requires log-in and you pass credentials to Kahuna, then you can search by that credential also). 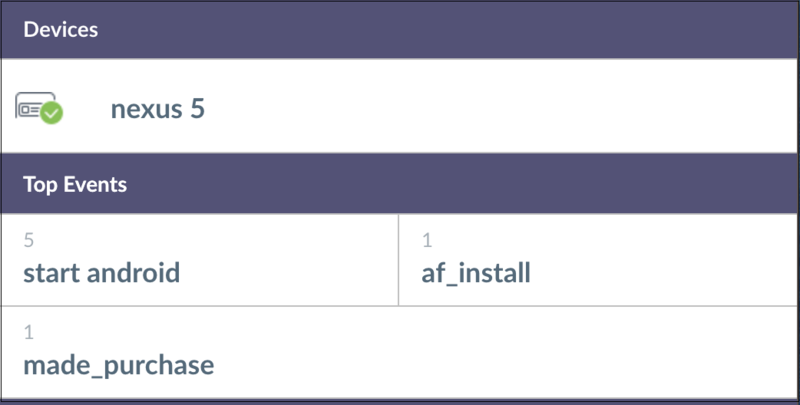 Once you find the user, you should see an “af_install” event for that user.